Welcome to Human Resource Background Checks (HRBC), we are a Registered DBS umbrella body. Our online service is designed to help organisations carry out their Disclosure checks on line. Employers need to identify candidates who may be unsuitable for certain jobs, especially work that involves vulnerable groups including children. 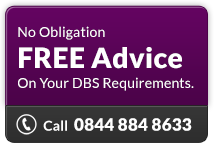 The DBS search police records and, in relevant cases, barred list information, (the Department of Health and the Department for Education and Skills), then issue a DBS Disclosure certificate to the applicant. A Disclosure certificate is a document containing impartial and confidential criminal history information held by the police and government departments which can be used by employers to make safer recruitment decisions. To find out more about changes in legislation please click on the appropriate Link on the menu below. Applicant-only certificates: why did it change?